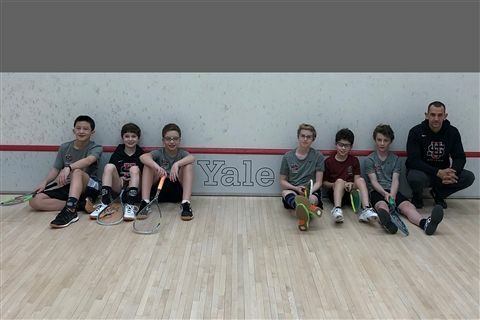 Congratulations to the University School Middle School squash team for winning the Division II National Championships held at Yale University. The team was tied at 2-2 in the finals against Rye Country Day when Chase Greppin bounced back from a 0-1 deficit to win 3-1. The team previously defeated New Canaan, Shipley, and a team from Haverford School to reach the finals. This is the first time that US has competed at the middle school level at this national event.